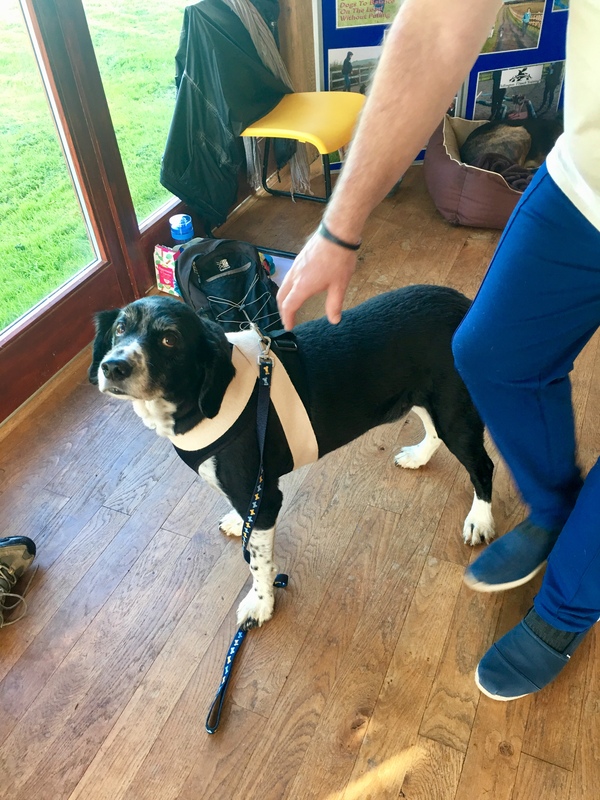 Following on from the last post about complementing complementary therapies, we attended a workshop to introduce us to touches and methods using Tellington T-Touch Training delivered by Caroline Still of Stylish Fido. T Touch is not massage but involves a variety of touches manipulating the skin rather than the muscles below. Although the touches are light pressure, they can be very relaxing and powerful. However, like massage, the aim is to help resolve health and behaviour. As well as bodywork, there are also a number of groundwork routines designed to aid flexibility, movement and increase confidence. The touches themselves are named after animals, such as the Leopard, Chimpanzee, Racoon and Llama. These involve different placement of the fingers on the skin. As with massage therapy, the touches slide from one to another meaning the dog always has at least one hand on their body maintaining contact. The groundwork is used to engage the dog’s attention and focus and involve slow and purposeful movements around objects or poles with frequent stops allowing the dog to experience their balance. Another component is body wraps. This is similar to swaddling a baby giving the body security and a big hug. The aim is to provide comfort by making the dog aware of all the areas that the wraps touch. It is a great tool for nervous dogs and can be beneficial for Halloween and November 5th fireworks. This entry was posted in achy paws, AchyPaw, achypaw myotherapy, classes, Dog massage, dog massage classes, massage benefits, multimodal, multimodal therapy for dogs, south coast dog massage, T Touch, Tellington T Touch, Therapeutic, therapeutic massage, training and tagged achy paws, achypaw, achypaw myotherapy, achypaws, canine arthritis, Canine massage, canine myotherapy, Dog massage, dog massage courses, galen dog massage, massage, south coast dog massage, T Touch, Tellington T Touch. Bookmark the permalink.